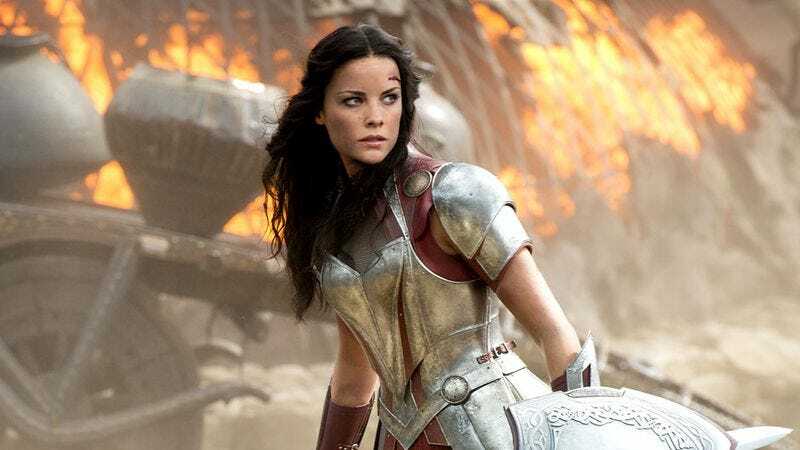 Her power: One of the best warriors in Asgard, Sif (or Lady Sif, as she’s commonly referred to) possesses the superhuman strength, speed, ruggedness, and longevity of all Asgardians, combined with superior swordsmanship and fighting skills. Her story: Sif first appears in Thor as one of Thor’s closest companions, alongside the Warriors Three. She accompanies Thor to Jotunheim after the Frost Giants’ sneak attack of Asgard, fighting Laufey’s army until they were rescued by Odin. She then joined the Warriors Three in committing treason when Loki assumed the throne after Thor’s banishment, traveling to Earth to bring him back to Asgard (and helping Thor defeat the Destroyer in the process). By the events of Thor: The Dark World, Sif is revealed to have romantic feelings for Thor, though they are unreturned. She fought alongside him to return peace to the nine realms, and then assisted in protecting Jane Foster from Malekith during the Dark Elves’ attack on Asgard, as well as helping them escape with both Jane and Loki after Thor freed his brother from prison, against the orders of Odin. She also appears in the post-credits stinger, delivering the Aether to The Collector. Sif is also one of the few MCU characters from the films to appear on Marvel’s Agents Of S.H.I.E.L.D. (besides Nick Fury). She was in two episodes: The first was to track down one of the escaped prisoners, Lorelei, who fled during the events of The Dark World, and the second to capture a Kree who had fled to Earth. During the fight, Sif lost her memories, thanks to the Kree’s magic truncheon, but regained them in time to defeat him, along with help from Phil Coulson and his team. Currently, Sif is: Back in Asgard, presumably fighting the good fight. Or resting in between them, as the case may be. Where will we see her next? Uncertain. While Alexander originally assured fans she’d play a key role in Thor: Ragnarok (due November 2017), it’s possibly her new starring duties on NBC’s Blindspot pulled her out of it, as she now sounds dubious about appearing in it. Hopefully this delay isn’t permanent.